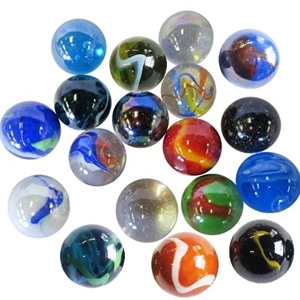 This is a pack of jumbo marbles in assorted colors and styles. These are great in any of the 8" marble kaleidoscopes as well (ask for transparent styles for kaleidoscopes). These marbles measure approximately 1 3/8 or 35mm and are sold in packs of 10 or 50. Sizes may vary slightly. Colors and styles may vary from picture.